PENGO PAVARTY ERADICATION NON GOVERMENT ORGANATION is located in TANUKU Andhra Pradesh . PENGO PAVARTY ERADICATION NON GOVERMENT ORGANATION is registered as a Society at KARIMNAGAR of state Andhra Pradesh with Ngo unique registration ID 'AP/2011/0044256' . 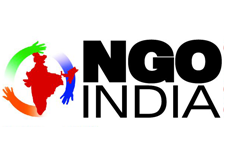 The NGO registration is done by Registrar of Societies with registration number 750 on the date of 29-08-2006, Its parent ORganaisation is indiracomputereducationsociety. The Chairman of PENGO PAVARTY ERADICATION NON GOVERMENT ORGANATION is K V DHANA RAO and Chief functionary officer is K V DHANA RAO. Promoters are G RAVINDRA REDDY, P PEDIRAJU, K CHANDRAIH,B PAYI KUMAR.